When I was looking at pictures for my pixie haircut feature yesterday, I recognized a pair of earrings Charlize Theron was wearing. They were Christian Dior Double Pearl Earrings, which retail for over $600. The reason I recognized them was because I have a pair just like them. They’re just not a $600 pair. Here are mine, which are Humble Chic’s Double Pearl Studs for $24. Here are the $600 pair on Charlize. I instantly fell in love with these earrings and they’re actually quite versatile. You can dress them up or down, as I did. 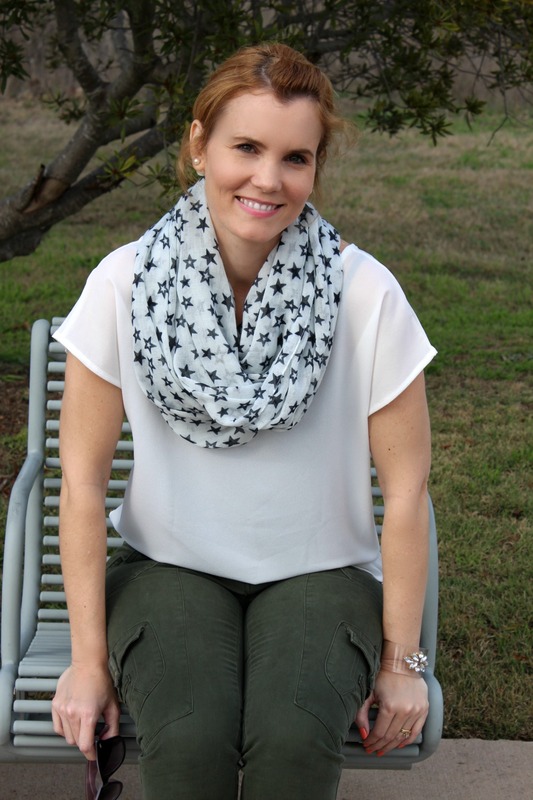 I styled mine with a white bow back shirt, also from Humble Chic, olive denim, leopard flats and a scarf. If you’ve shied away from wearing pearls because it makes you think of your grandma, let me tell you…these are not your grandmas’s pearls! These are classic, yet they have an edge to them. They are unique enough that people will ask you about them and want to know where to purchase a pair for themselves. I’m also wearing a cuff from Humble Chic that you’ve seen a time or two here on Mom Fabulous. It’s their Lucite Jewel Cuff and I can not get enough of it! I also can’t get enough of the bow back shirt. I’ve worn it with denim, a maxi skirt and a skirt just above the knees. You can tuck it in or leave it out. It’s so comfortable and the open back is perfect for spring and summer. 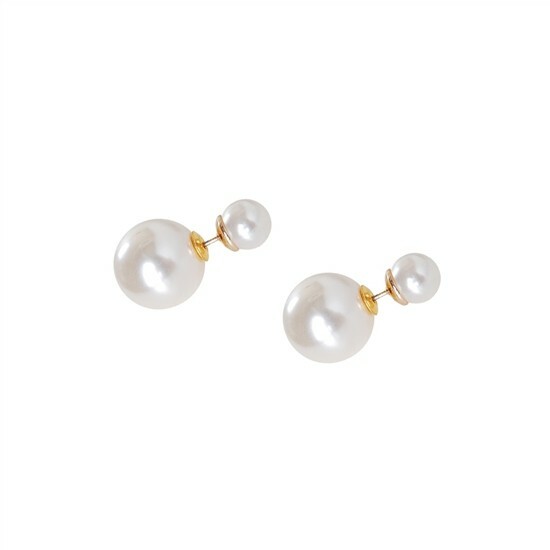 I have a feeling these pair of pearl studs will become a go-to piece for me this spring. Find out more about these earrings, and the other items featured, here.